APM-8000-GBN Features: -Genesis III collection. -For use in prevention and treatment of decubitus ulcers. -Quiet high volume pump produces 8 LPM airflow with 10 minute cycle time. Product Type: -Mattress. Core Construction: -Air. Weight Capacity: -350 Pounds. Alternating Pressure: -Yes. Number of Items Included: -3. Water Resistant: -Yes. Removable Cover: -Yes. Dimensions: -Power Cord Length: 10'. 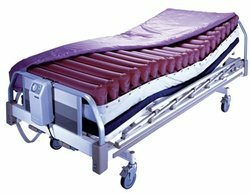 -Mattress: 8" H x 36" W x 80" L. Overall Product Weight: -25 lbs. 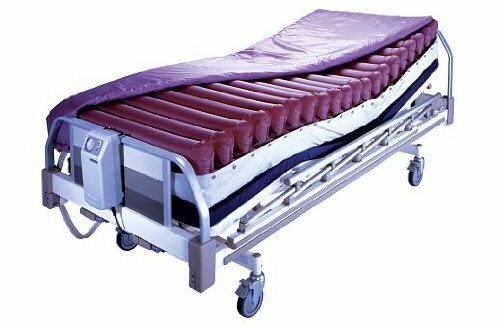 Apollo 3-Port Alternating Pressure Mattress System - 35"x 80"x 8"
Invacare MA65 Invacare MA65 microAIR Alternating Pressure Mattress w/Compressor Standard 80"x36"x10"
Protekt Aire 8000BA Bariatric Low Air Loss/Alternating Pressure Mattress Syste..